When thinking about some of the ways we can best celebrate the 15th anniversary of Disney’s Animal Kingdom, we here at Jambo Everyone thought it best to spend the days leading up to April 22 by gushing over our favorite park. 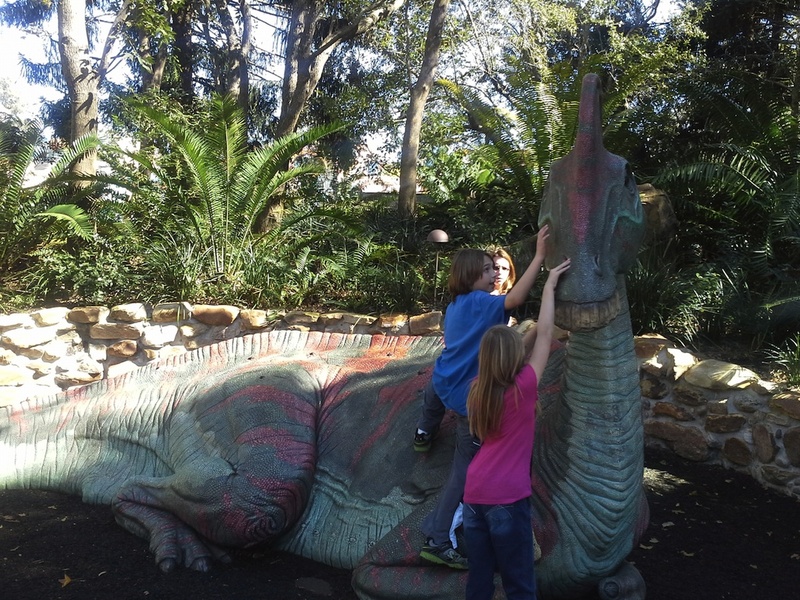 So we begin today our Top 10 Reasons why we love Disney’s Animal Kingdom so much. It's just another part of our DAK@15 celebration! The Animal Kingdom is all about the little things. It is not about going from one big ride to the next. Sure, there are some great attractions but that's not the main focus, at least for me. For me, its all the little nooks and crannies that seem to be all over the place. These are often missed by the guest who is making a bee line for Everest or Festival of the Lion King. And I hope I help you find a few of my favorites. Most people going through the Oasis go either right or go left (this isn't Epcot where everyone goes left). Well, how about straight up the middle. About half way to the cave that marks the exit of the Oasis into the park, there is a path that cuts between the two main drags. It is here that you find the scarlet macaws and the wallabies. 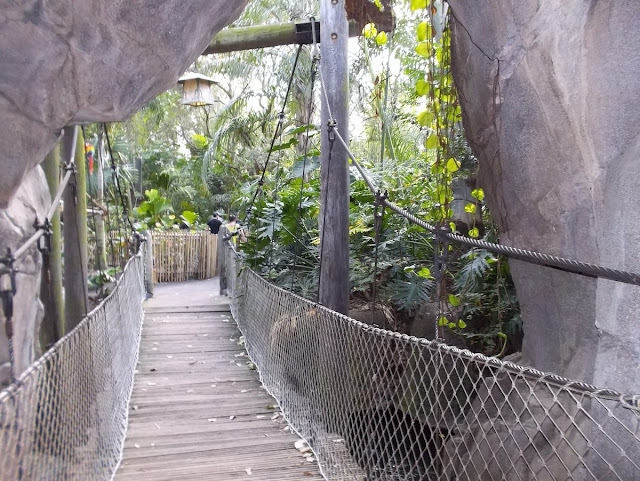 But maybe the coolest part of this path is the little rope bridge you can use to cross the water into the cave. A beautiful waterfall spills into a pool of water birds, as well. I know most people don't know about this bridge and bypass altogether, but if you have kids, they will love it. There are more than a few neat hidden paths around the Tree of Life, too. Near the Pizzafari, there is a path that walks straight up to the Tree itself and you get awfully close. It is here they put netting when a piece of the Tree fell. But its also here one can find grey kangaroos. You can often spot them lounging in the shade near the viewing platform. Another great path is actually behind the Tree. Right before you get to the stone pillars that mark the entrance of Harambe, you make a quick right. It looks like a cast member path which is why most guests don't use it. Down here you will see saddle-billed storks, porcupines and tortoises. Keep moving and eventually you will get to the entrance for It's Tough to Be a Bug. You also get some great views of the engravings of the Tree. In Harambe, there is another great hidden spot. It's behind the Dawa bar. 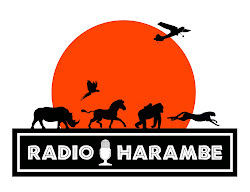 As the story goes, Harambe was an old European fort before being turned into the town you see today. In fact, look down when walking into the area and you will see white "bricks." These are markers showing where the old fort was located. I like the other remnant of the fort. Along the river there is a great spot to relax in relative peace. 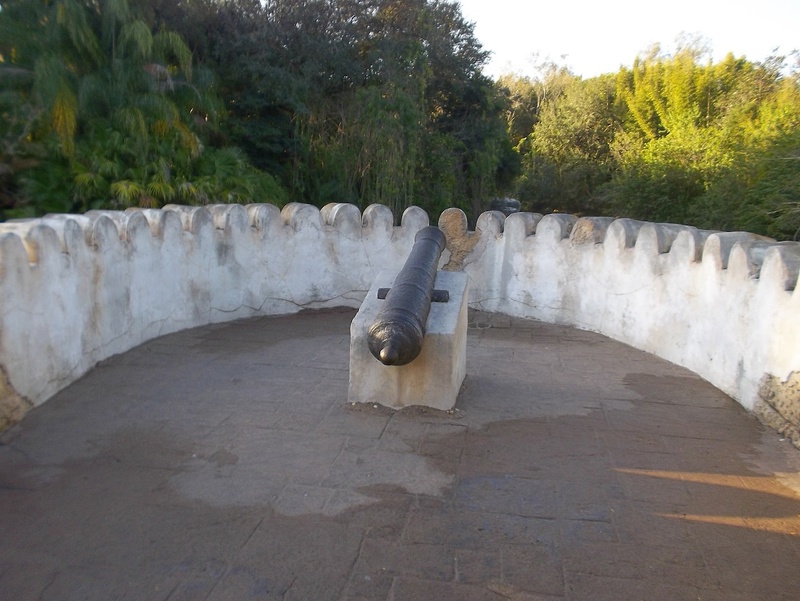 A cannon and fort turret overlooks a river bed full of African water craft and fisherman tools. Grab a sugar cane mojito or a Safari amber and enjoy. Finally, there is Dinoland. You have heard me say before that this land is perhaps the best themed land in any theme park anywhere. There are a ton of nooks and crannies here, but there is also a path that almost no one goes down and knows about. Its the Cretaceous Trail near the Restarauntosaurus. 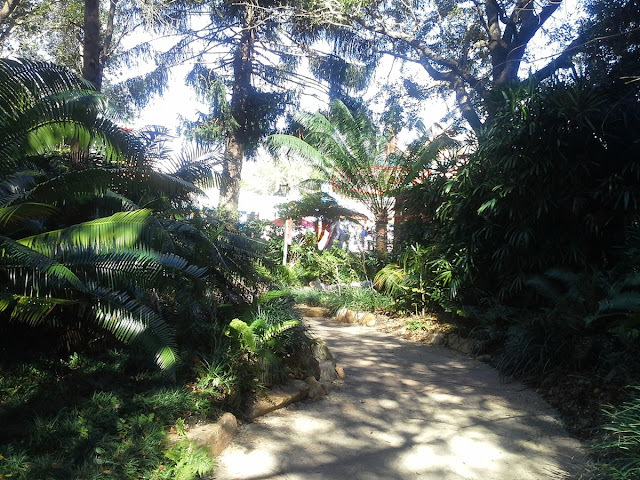 This path even has a dinosaur statue that kids love to climb all over and take some photos with. The trail is thick with shading thanks to the ferns and there are some great benches where one can sit, relax and a take a nice break. You will love it. Trust me, what could go wrong?